The Nelson Mandela Foundation in partnership with Habitat for Humanity SA and the Department of Human Settlements is honouring Tata Madiba’s legacy by building 100 homes for 100 families across 3 provinces: Western Cape, Gauteng & KwaZulu-Natal. 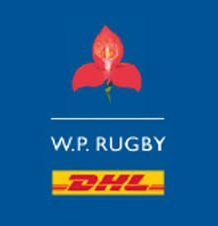 On Wednesday, three of the Western Cape’s biggest sports teams, DHL Western Province Rugby, Cape Town City Football Club, and the World Sports Betting Cape Cobras Cricket team, will collectively roll up their sleeves as they aim to honour Nelson Mandela’s legacy to assist the Nelson Mandela Foundation (NMF) and Habitat for Humanity SA in the Cape Town house-build week from 16 – 20 July 2018. The three Western Cape sports brands will be in Bardale, Mfuleni, 30km from Cape Town on Mandela Day, where they will be assisting the Habitat for Humanity SA volunteers and Sbu-Leno Construction with constructing external and internal walls, mixing cement, moving blocks and interacting with the community. “Building the South Africa Nelson Mandela dreamed of is only possible if we come together and raise our hearts, hands and voices to build strength, stability and self-reliance through shelter. We therefore would like to thank DHL WP, Cape Town City FC and World Sports Betting Cape Cobras for participating and contributing immensely to this initiative in honour of Tata’s 100-year celebration’, says Lyndall McCarthy – Resource Development & Communications Officer at Habitat for Humanity SA. “We are humbled and proud to stand together with our fellow sports franchises, athletes and Habitat for Humanity SA to honour the values and legacy of Nelson Mandela and to contribute to making a difference in our communities. Given collective will, we all have the power to transform and make a real difference to our communities and people in need. 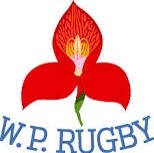 It is a privilege to give a little back today, something we as a Union will strive to do on a continuous basis in whatever way we can.” said Mr Thelo Wakefield President of the WPRFU. The Springboks will also be joining the house build on the 18th July 2018 in Mfuleni with some of the team players, management and technical staff.